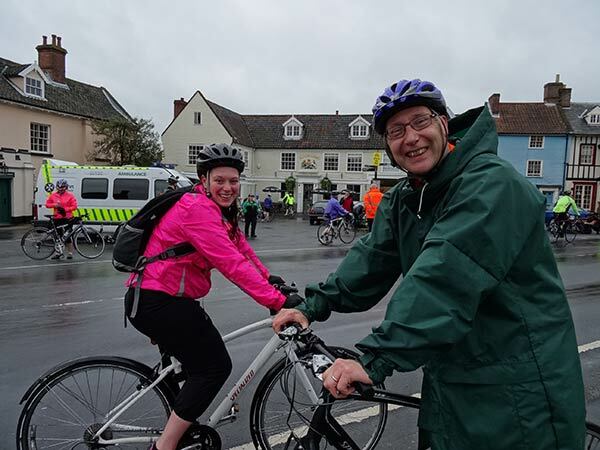 This weekend the fine city of Norwich was again holding its annual 25, 50 and 100 mile bike ride challenges to raise money for the British Heart Foundation. On Sunday Kelly, Mike, Kris, Nick and I donned our Lycra and set out in typical British weather (rain and wind) to attack the 50 mile route. We left the Forum in Norwich, at around 08:30 - bit early for a Sunday morning we thought! 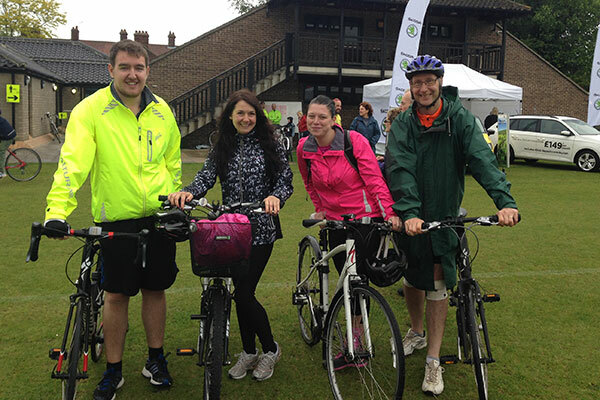 There was a great atmosphere as we set off despite the inclement weather and already being rather damp. Our first pit-stop was around 12 miles along the route in Reepham where we grabbed some energy providing snacks. Kris by this point had ‘accidently got ahead of us’ so 5 had quickly become 4! 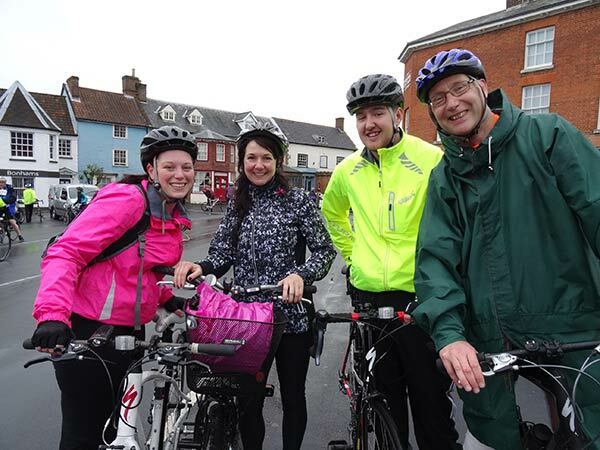 The rain had eased off for a little while and we were enjoying our ride and chatting along the way, although we were finding the wind blowing across the open Norfolk fields rather a challenge! We continued past the beautiful Blickling Hall into Aylsham where were had a break and a well needed cup of tea (or 2 cups in Debs case) at the Bure Valley Railway Café. We don’t think they were hugely prepared for potentially 4000 cyclists to cross their threshold. The route from here on became somewhat more difficult with lots of inclines and more wind and rain but we battled on regardless. We didn’t grumble too much! Having made it back into the city the home straight in sight, we became separated at a set of traffic lights, but crossed the finish line at Norwich Lower School by the stunning Norwich Cathedral , within a minute or two of each other at around 2:15pm. Woo! We were greeted by applause from appreciative supporters, a medal from the British Heart Foundation and a half pint of Adnams beer which we all enjoyed! It's not too late to support us, simply visit https://www.justgiving.com/team-ese and donate what you can.